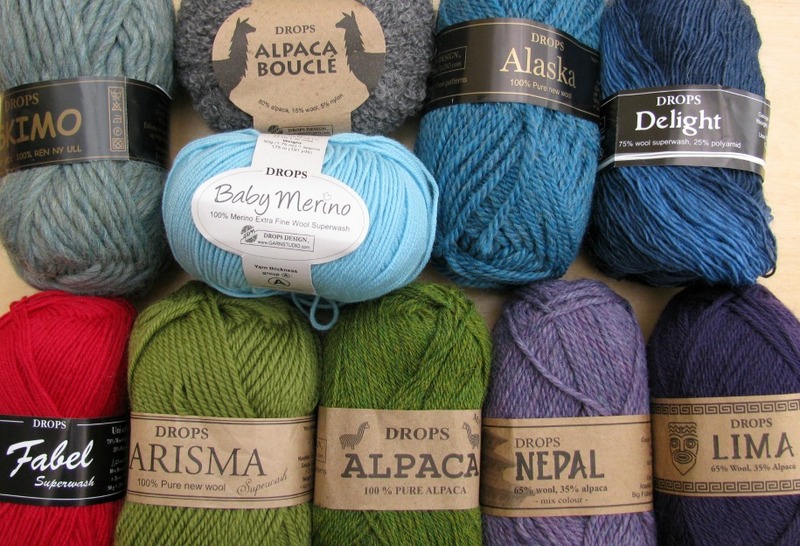 You can see all the Drops yarns on their website here and all their free patterns here. I'm almost finished a sock in Fabel (75% wool 25% Nylon blend 4ply) and Karen is knitting a toddler dress in Drops Baby Merino (100% merino 4ply). We'll have swatches for all these and other Drops yarns whilst we're at Ovenstone for the Pittenweem Arts Festival. We're there from Saturday 6th to Sunday 14th August, 10am to 5pm. Sorry no yarn for sale yet! We're also having a Stitches on the Wednesday morning from 10am if you'd like to come along to that too. Favourite merino? Favourite Debbie Bliss yarns? Best knitting books? Plain or fruit scones? Strawberry or raspberry jam?